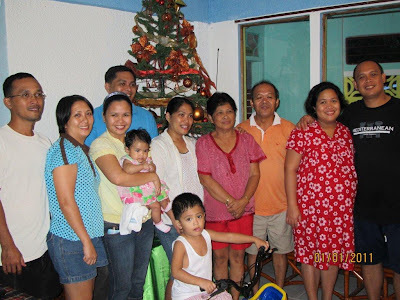 One entry we needed to make to complete 2010 is our New Year’s Eve Dinner with President Dorosan and his family. This is our second time having dinner with them for a holiday. 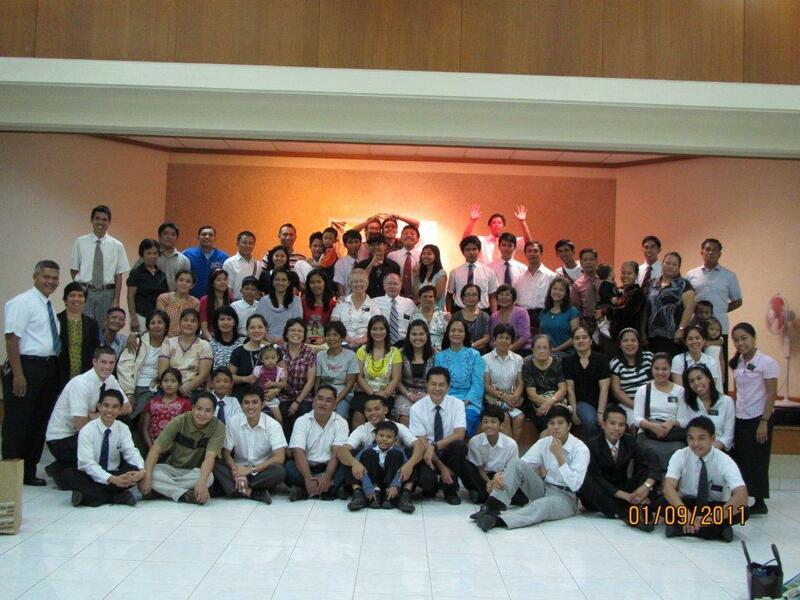 Last year we were with them Christmas eve during the eruptions of Mt. Mayon. This year was less eventful but every bit as enjoyable. Blessica decided she would treat us to one of her favorite dinners-tacos Philippine style. It was wonderful and we enjoyed everything they served. After Dinner, we were favored with some music from the family. They are a very talented and gifted family. President Dorosan works for Chevron, Sister Dorosan works for a local College, two of the daughters are finishing med-school and veterinary school, one is an engineer and the youngest is in college. Jared the youngest is in high school and is a good dancer. 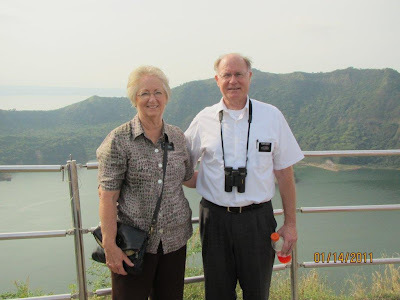 We have enjoyed this wonderful family since we arrived in the Philippines and have been blessed as Sister Cooley was visit teacher to Sister Dorosan and I was home teaching companion with President Dorosan. On the way home from our evening with the Dorosan family we passed many people who were out to celebrate New Year’s eve. It is a night of celebration and here in the Philippines they love their fireworks. There are so many that it is difficult to go to sleep. We were awakened shortly after midnight with the sound of rockets and firecrackers. As we looked out our back window the sky was filled with fireworks, it looked like our 4th of July celebration. Since New Year’s day was a holiday we decided to make some visits to people that we had made friends with during our stay in the Philippines. We only have a few more days in Legazpi to see so many people whom we count as friends and have grown to love. One of those families was the Adille family. Carlo Adille is our Employment Resource Center Manager and as we got to know him we also got to know his family. Sister Cooley loved to visit with his mother who is a very talented local seamstress. She makes wedding dresses, bridesmaids dresses, school uniforms and the like. Her dress shop is up on the hill behind us. Carlo’s sister is married to a man who was a cook on a cruise ship and now has opened a little Italian restaurant. His name is Richard and his wife Christine is going to have a baby any day. Carlo’s father is very pleasant and is always doing something to help Richard in the Restaurant or planning with his grandchildren. Later that day we were able to see the DeLumen family. We were so lucky to be able to see them. We usually only see them on Sunday. There were some things that we wanted to leave them before we left and so we met them and shared some things with them. Our experiences with this family were some of the highlights of our mission. 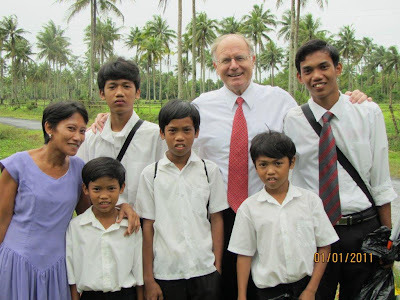 We feel they are a special family and that the Lord has a mission for them. Sister DeLumen is especially valiant in her efforts to keep her family together and we look forward to hearing of their first temple experience together. After visiting several friends in Legazpi/Daraga areas, we had another Sabbath day together with the saints, then left for Cebu City south of Luzon on the island of Cebu. We had requested and received permission from Elder Teh of the Area Presidency to visit there before we went home. 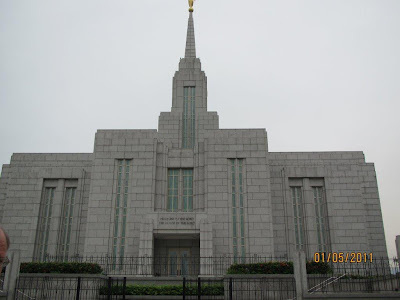 We are so excited about our trip since this is the newest temple here and it was dedicated since we arrived. 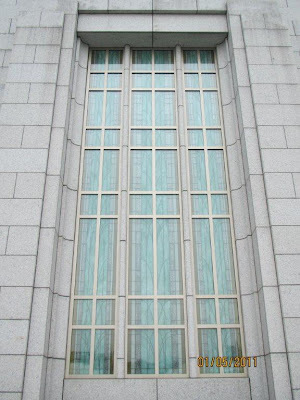 The temple grounds are really well planned out. 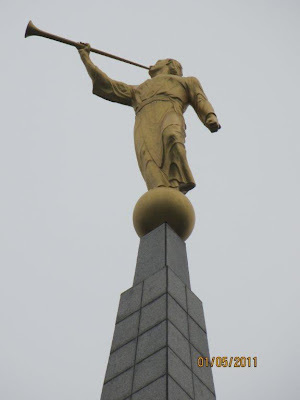 In addition to the temple there is a Stake Center, Mission Offices, Patron housing, Family History Center and the Mission Home. We were able to go on an Endowment Session while we were there. 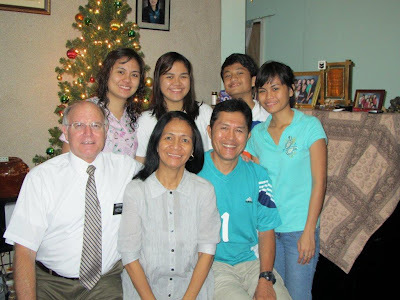 While we visited the Patron House we met a wonderful Filipino couple who are serving as medical missionaries on Cebu. 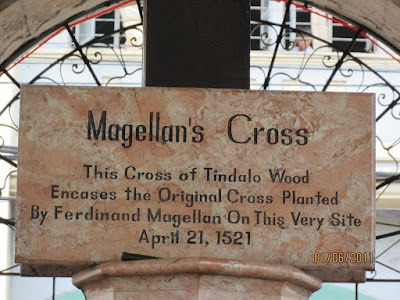 They are from the states and we went to lunch visited some sites (P-day) they had not visited before, like the oldest church in the Philippines and the shrine that houses the cross brought by Magellan when he came. After seeing a few of the local sites in Cebu we then went to the island of Bohol by “fast craft” which is an air conditioned ferry. There we were met by a young women introduced to us by President Pangan who was a relative. 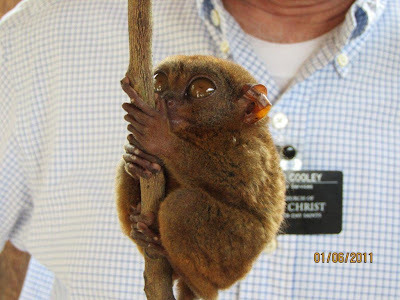 We went by car to visit the sanctuaries where the smallest primate in the world lives-the Tarsier Monkey. Just 6” in height and very shy. In fact they sleep by day and forage by night. 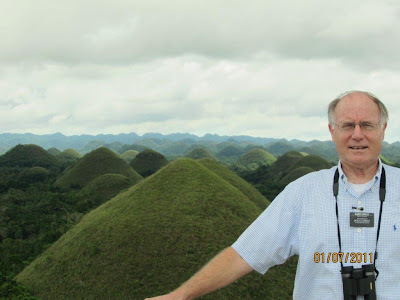 From there we visited the Chocolate Hills of Bohol. These are named because of their shape-like a bunch of Hershey’s kisses. In summer they are also brown, but they were still green during our visit. There are some 1700 of them in this one area. One of our last major stops was the beach resort area that has been every popular down here in Bohol. 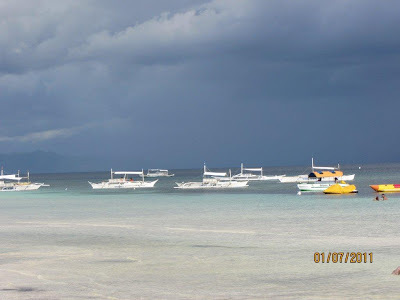 There are many stands for refreshments, boats, fishing and beautiful warm water of the Philippines. We stayed at a Marriott Hotel but were able to go to a more spectacular hotel one day for their buffet which was wonderful. 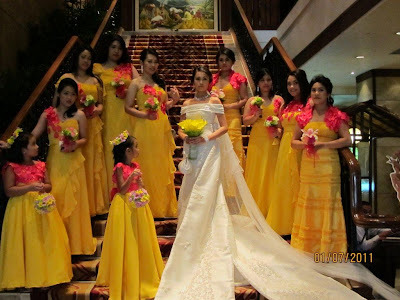 After our brunch, we were able to see a bride to be and her maids who were there for a wedding reception. In Bicolano we would say Magayon! After our trip to Cebu, we started to go home to Legazpi, but learned that the floods had returned and could not get back in time for a fireside the Stake had scheduled before we left for home the following week. It was disappointing that we couldn’t be there for the fireside to be held on our honor. But, the Leaders decided it was too late to let everyone know so they went ahead and had a social anyway. We were finally able to get back on Sunday early afternoon and we had the fireside for those who could still make it. They wanted us to talk about our lives, how we met, got married, started career and our families. 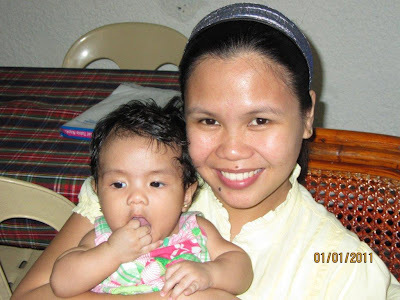 Most Filipinos assume all Americans are rich from birth, but our story is one that the leadership wanted them to hear because like many young couples in the church we got out of college with a baby on the way and had nothing. We had to start from scratch. After the fireside we got a surprise. The Stake and ward leadership of Legazpi had prepared two very professional videos that showed their gratitude for our service there. It was amazing what they had done. Somehow they got the pictures off our blog of our mission and put them in story fashion intermingled with their very gracious comments about our service. We were stunned at the very gracious way that they honored our service there. After the viewing we went into the cultural hall and were blessed to hear from many members who in turn stood up and thanked us for specific things we had done. We were also showered with gifts and memento’s that we will cherish forever. The next few days we packed and packed and tried to leave as much behind as possible. We then visited friends and gave as much away as week could. But we found that the Filipino people are so generous even if they may have meager means that after we would leave we somehow had more than we came with. It took and extra day or so to leave Legazpi for Manila. 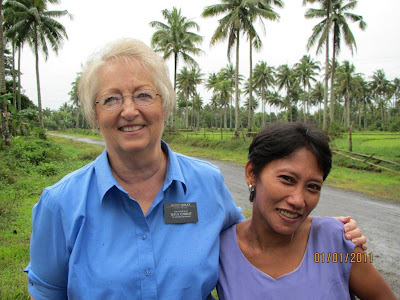 Our drive to Manila would be about 12 hours and Sister Cooley had some visits and stops along the way so it took two days. 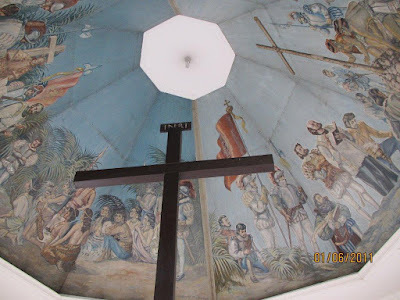 At times we cried as we thought of leaving our friends whom we love and beautiful Bicolandia! We visited a woodcarving village where Sister Cooley ordered some hand-carved nativities. This is not far from San Pablo where we stayed the night at a spectacular villa type hotel arranged by Brother Villanueva and President Fabros of San Pablo Stake and ERC manager. We arrived in Manila for our last few days of cleaning up odds and ends, and reporting in to Elder Ko of the Area Presidency who wanted to interview us before we left for home. 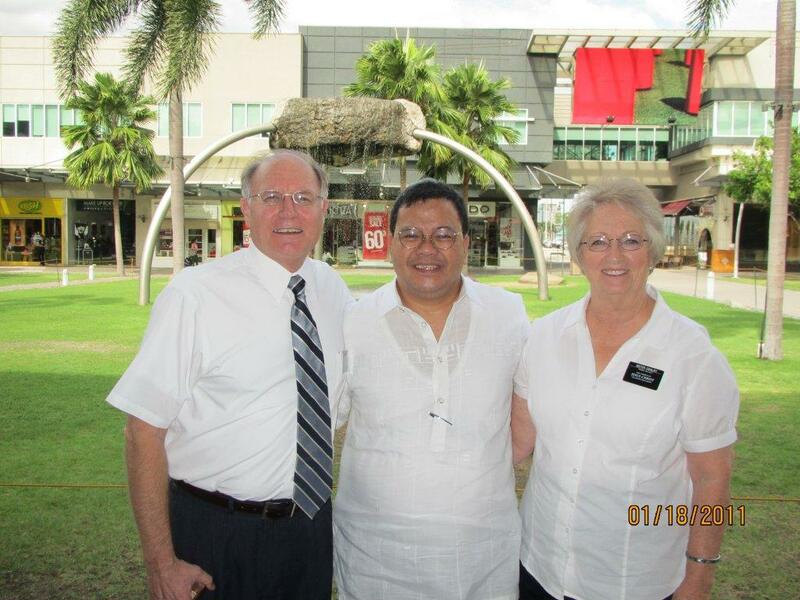 The interview with Elder Ko was special he is a wonderful man from Korea. We talked casually as he asked us questions about our experiences then asked us in a serious tone-what are some of the biggest obstacles to the work moving forward in our area. Our answer was a surprise to him. We said communication. He asked how so, and we confessed that communication between the leaders (Ward, Branch, Stake and District) was often tenuous and many times the leaders were as if on islands. That further communication between the members and the leaders were too often lacking. After we provided some examples he confirmed that he saw some of the same symptoms but didn’t always relate it to communication. Most of this is caused by the newness and inexperience of leaders and the unfamiliarity they have with the tools they have been given. We took a trip to the famous Taal Volcano with some of the missionaries and staff of the MRC (Missionary Recovery Center) in Manila. It was quite and experience to get there. The volcano rests in the middle of Taal Lake so you take outriggers to get there. Once on land we took horses (Sister Cooley loves horseback riding about as much as our last Ferry ride) to the rim of the volcano and we were able to look down on the huge lake contained within the volcano’s mouth. 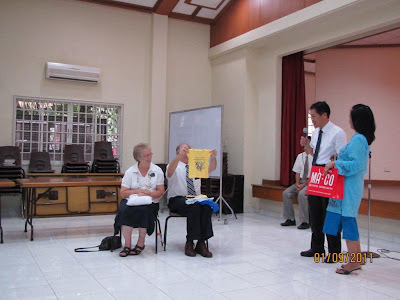 Our leader from Manila was Brother Jomel Villanueva. He was a great inspiration to us and whenever we needed help he was there to support us even though he was in Manila and we were 12 hours away in Legazpi. The Church is fortunate to have such dedicated, hard working and inspired people to run the ERC’s in Luzon and other parts of the Philippines. We spent some time together visiting a few places we hadn’t seen and of course having some wonderful meals together-the food in Manila is like eating back home and many restaurants we were familiar with are located there. We said good-bye to Jomel and the people at the Area Presidency offices then went to our hotel for the last night in the Philippines. We arose at 3:30 AM and went to the Manila airport for the last time. 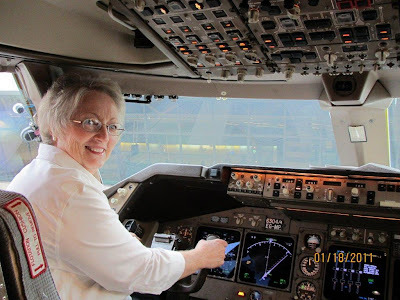 We boarded the plane and Sister Cooley looked into the cockpit and was offered a chance to sit in the pilot’s seat. It is apparent that she enjoyed her vicarious role as pilot. 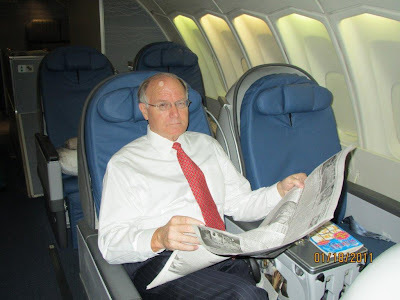 As we sat in the plane it was almost like having an out of body experience as we sat there thinking of going home. It was just not real and were anticipating the feelings of what it would be like to set foot on American soil once again. Our trip home was 23 hours from the time we left our hotel to arriving at our home. By the time we got to bed it was 31 hours of up time with only about 1 hour of sleep on the plane. The excitement and anticipation of going home after 18 months had finally hit us. Our family greeted us at the Sacramento Airport and it was quite a re-union, our family probably thought we looked a little dazed. What a sweet experience to see all of our children and grandchildren (except Andrea’s family in Utah) and be able to give them each a hug. After we got all our luggage the kids took us straight to In-N-Out for a real hamburger! What a treat. As we arrived home it looked just like we left it except it was sooooo large. As went to bed that night, we just kept looking at our bedroom thinking that you could fit 3 Filipino families in our bedroom and there would be room to spare. 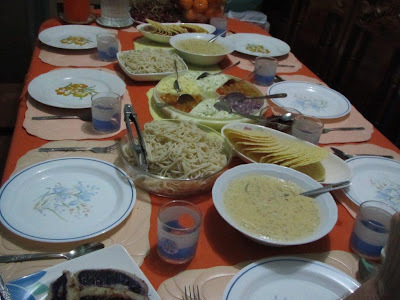 Our abundance became very stark to us and we could only think of how much we learned about gratitude from our second family in the Philippines. We love them, we miss them and we will never forget them! The experience of being release by President Olsen was bittersweet. We were both very emotional as we described our feelings about our mission to him and answered his questions. As we returned home see our children Elder Cooley told them that the hardest thing he had to do on his mission was to take that badge off after being released. Now we were to enter our life back in the USA and we had no idea how difficult it would be. 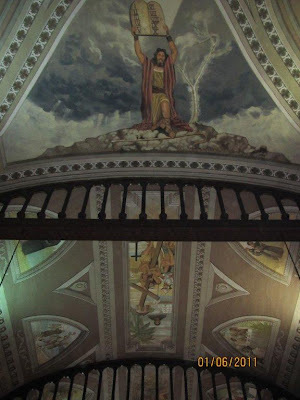 Our experience in the Philippines were filled with excitement, love, success, hard work, beauty and spiritual feasts that we cannot describe adequately. We came to appreciate the Filipino people as some of the most loving, spiritual, adaptable, fun-loving people in the world. There is a special spirit about these people that is difficult to describe, we will always cherish our memories in this wonderful place in the Lord’s vineyard, truly the Philippines is the “Pearl of Asia”.